Acclaimed British conceptual artist Bruce McLean presents an exciting new exhibition of ceramics and limited edition silkscreen works inspired by the light, shapes and movement of his Spanish garden. 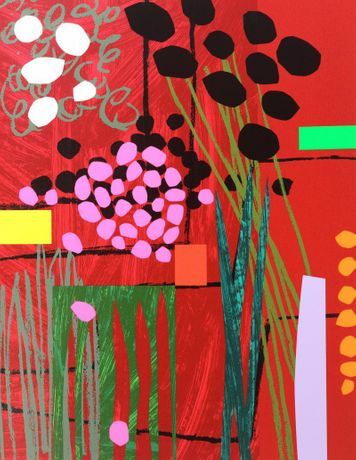 As well as sculpture and pottery, ‘Gardenworks’ will feature the Scottish-born artist’s newest monoprints with hand-painted and collage elements. Collated from a decade of work originally provoked by the energy and colour of his wife Rosy’s carefully tended garden at the couple’s home in Menorca, these pieces burst with his trademark vibrant colour palette and wry humour. The earthenware vases and platters have been thrown and hand-painted by McLean in collaboration with the Stoke-on-Trent pottery and design studio 1882 Ltd. Also on show – and for sale – will be a series of original, hand-drawn and painted collage sketches for the ceramic pieces. 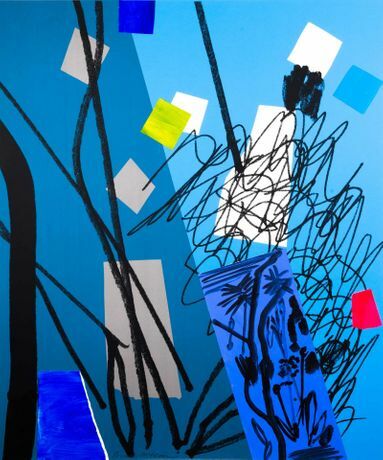 Born in 1944, McLean is one of the major figures of contemporary British art. He studied at Glasgow School of Art (1961-63) and at Saint Martin’s in London (1963-66). In the 1960s McLean became known as an art world ‘dare-devil’, causing a stir at Saint Martin’s when he rejected his tutors’ views of what sculpture should be. In ‘Pose Work for Plinths I’ (1971; London, Tate), he used his own body to parody the poses of Henry Moore’s celebrated reclining figures. He then went onto use rubbish or his body as sculptural material, making works that were all about plinths and framing devices. At the age of just 27, McLean was the youngest artist ever to be offered an exhibition at the Tate Gallery, but opted, for a ‘retrospective’ lasting only one day. 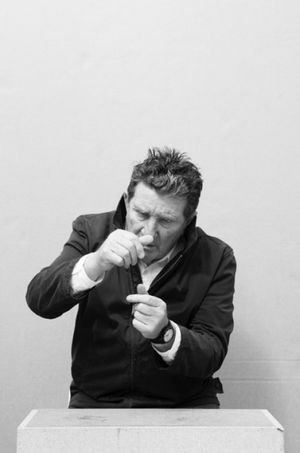 A hugely experimental artist, since the late 1960s his range has included painting, printmaking, sculpture, film, photography drawing and live work. 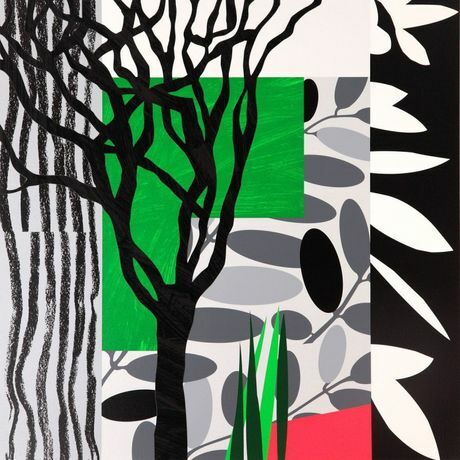 For Arts Sake director Brian Davis said: “We are hugely honoured to have held and exhibited McLean’s prints for a great many years and are thrilled to welcome him back for 'Gardenworks'. We're particularly grateful that he has let us display his magnificent jug sculptures and hope visitors to the show enjoy them as much as we do."